Real anglers. Real talk. : Summer chinook, what? Venturing out into the outdoors along the waters talking with real fisherman and discussing gear, tactics, thoughts, personal stories and more. Welcome! Thanks for stopping by and taking a look at what I hope will be an informative yet interesting read that I intend on this blog being. 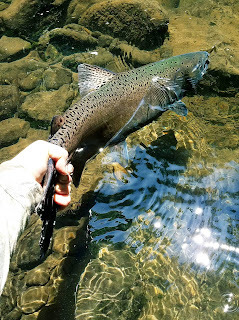 What you are seeing now (besides this wild Chinook I hooked while fishing for summer steelhead) is a test post I made to get this blog up and going. Stay tuned for more!